Platelets are small cells that circulate in our bloodstream. Their sole job is to react to injuries by breaking themselves apart releasing many different types of growth factors. 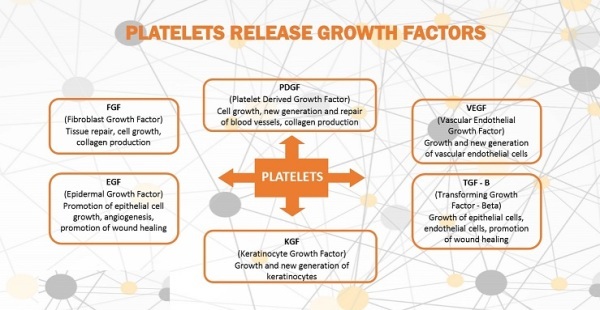 These growth factors help to stop the bleeding and attract other cells to begin the damage repair. micro-channels we create using microneedling method to resurface and stimulate rejuvenation.